One of the biggest economic challenges facing Americans is the increasing lack of affordable housing. This challenge is present nationwide but the root causes can often differ by location because both state and local policy can have a direct effect on the availability of affordable housing. The lack of affordable housing in Lancaster County is particularly challenging for renters. LancasterOnline analyzed a 2018 report from the National Low Income Housing Coalition which paints a dismal picture for most locations in the US, including Lancaster County. LancasterOnline reports that “The estimated average wage for renters here is $13.24 an hour. But a person would have to earn 44 percent more — $19.12 — to afford a typical two-bedroom apartment in the county.” To give an even more micro-scale snapshot of income/living costs, MIT has created a free online tool called the Living Wage Calculator. This calculator allows you to select both state and county and then to see what wage is needed under a variety of household conditions, including the number of working adults working (and whether full time or part-time) and the number of children. For example, this calculator suggests that a household with two working adults and two children, the living wage would be $15.47. While the Coalition’s report is a helpful resource, much of the media coverage has not been duly critical of it. Christian Britschgi, writing for Reason.com, highlights a few shortcomings of the report. For example, Britschgi draws attention to how the report “measures the price of units by looking at units priced in the 40th percentile of rents.” The report fails to mention, however, that minimum wage earns “have the option of shopping for the 40 percent of units that costs less than that, however.” In addition, the report assumes one worker per rental arrangement but doesn’t recognize that many people often split rent with a partner or roommates. If you want to learn more about Accessory Dwelling Units and my vision for how ADUs can help us usher in opportunities for homeowners and renters, check out this article. I’ve also written a policy brief designed for lawmakers which you can access here. The United States continues to grapple with a persistent lack of affordable housing. An article in Curbed.com explains that this lack of affordable housing is leading to less geographic mobility, less creation of new businesses, an increasing concentration of wealth and opportunities in a select few regions of the country, and an increasing burden on young adults attempting to begin their adult life. In the face of this crisis, many policy experts suggest that adjusting local policy to allow for the development of Accessory Dwelling Units might provide one solution. While Tiny Houses are one of the more well-known forms of ADUs, they are not the only or even the most important one. Common models for ADUs include turning a basement or garage into a fully furnished apartment or building a cottage in a spacious backyard. ADUs allow renters to find more affordable housing options and allow homeowners to generate additional revenue by charging rent. One significant reason that ADUs have become more popular is that demographic shifts have created a market need for multi-generational housing. Pew Research Center reports that as of 2016, 1-in-5 Americans live in a multi-generational home, for a record-setting number of 16million people. This report notes that “the number and share of Americans living in these households increased sharply during and immediately after the Great Recession of 2007-2009. Since then, growth has slowed a little but has remained much more rapid than the growth before the recession.” Another dramatic finding of this report is that “young adults have been the age group most likely to live in multigenerational households” whereas previously it was adults age 85 or older. Pew found that “among 25- to 29-year-olds in 2016, 33% were residents of such households.” Even more strikingly, “among a broader group of young adults, those ages 18 to 34, living with parents surpassed other living arrangements in 2014 for the first time in more than 130 years.” As the Baby Boomer generation begins retiring, often amidst severe financial insecurity, it is likely that consumer demand for ADUs will continue to increase. The first half of this policy brief explores the benefits of ADUs, relates a short history of relevant zoning law, and details the challenges preventing ADU development. The second half surveys model state legislation and a variety of local zoning and regulatory frameworks. The brief concludes with a list of recommended resources including an extensive how-to manual for anyone who wants to create an ADU of their own. 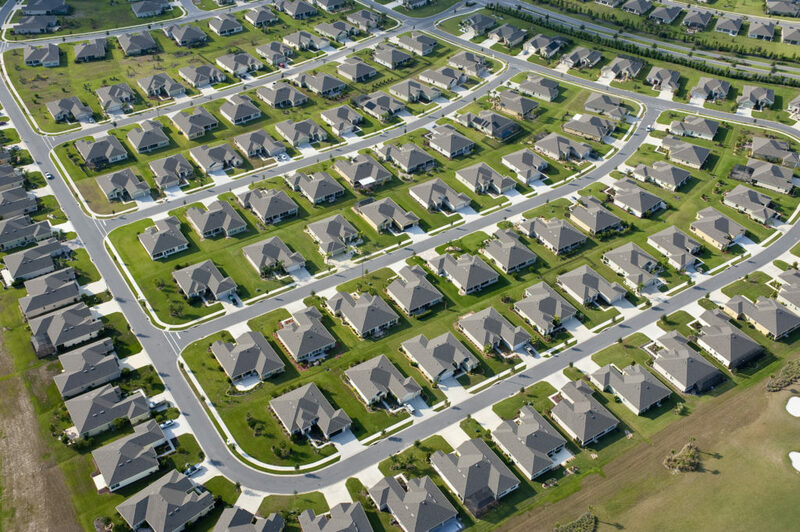 Coppage argues that while this arrangement of planning and zoning law was well suited to the needs of 20th century Americans, we are now faced with changing demographic patterns and housing needs that require new models for housing policy and zoning law. And while ADU development alone can’t solve our housing crisis, there are plenty of benefits that suggest it can be of immense help. Housing regulation allow supply to respond elastically to demand helps cities protect homeowners and home values while maintaining housing affordability. development is allowed to meet local needs. Smart housing regulation optimizes transportation system use, reduces commute times, and increases use of public transit, biking and walking. Modern approaches to zoning can also reduce artificial government barriers that can result in economic and racial segregation. provide their aging adults with living space that is nearby but that still maintains the standard of independence they have grown accustomed to. provide their adult children with a living arrangement that allows them to experience independence and autonomy without crippling them financially. increase equity in their property and generate additional income. find affordable housing, including rent that is at below-market rates. Have the opportunity to interact with a demographic that they might not otherwise have regular contact with, for example, if the homeowner is a family, an older couple, etc.. Occupancy restrictions, whether mandating owner occupancy or prescribing who or who cannot rent a unit. Part 2 of this brief provides model legislation and recommended practices for overcoming these obstacles to ADU development. While the needs of every locality can be unique to themselves, the frameworks proposed below are designed to provide a helpful starting place for states and localities that want to develop their own customized versions. Accessory dwelling units provide housing for family members, students, the elderly, in-home health care providers, the disabled, and others, at below market prices within existing neighborhoods. 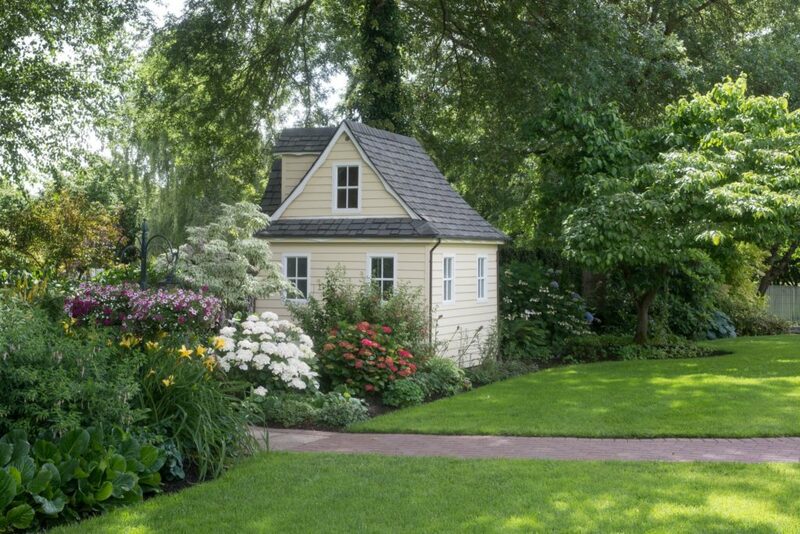 Homeowners who create accessory dwelling units benefit from added income, and an increased sense of security. Allowing accessory dwelling units in single-family or multifamily residential zones provides additional housing stock in California. California faces a severe housing crisis. The state is falling far short of meeting current and future housing demand with serious consequences for the state’s economy, our ability to build green infill consistent with state greenhouse gas reduction goals, and the well-being of our citizens, particularly lower and middle-income earners. Accessory dwelling units offer lower cost housing to meet the needs of existing and future residents within existing neighborhoods, while respecting architectural character. Accessory dwelling units are, therefore, an essential component of California’s housing supply. contained within an existing residence or accessory structure. has independent exterior access from the existing residence. has side and rear setbacks that are sufficient for fire safety. These provisions apply within all single-family residential zones and ADUs within existing space must be allowed in all of these zones. No additional parking or other development standards can be applied except for building code requirements. Since the passage of SB 1069, applications for ADUs have increased dramatically. NextCity.org reports: “Los Angeles saw the most dramatic jump, from 90 applications in 2015 and 80 in 2016 to a whopping 1,970 applications as of November 2017. Oakland, which had 33 and 99 applications in 2015 and 2016, jumped to 247 in 2017. Long Beach had zero applications in 2015 and just one in 2016. In 2017, it had 42. San Francisco has been experimenting with looser ADU regulations since 2013, but still saw applications increase from 384 in 2016 to 593 in 2017.” This preliminary data suggests that market demand for ADUs in California will continue to increase, especially as awareness of this model spreads. State lawmakers and local officials can both benefit from this model legislation. State lawmakers can easily adopt some or all of California’s provisions in their own legislative proposals. In designing a state bill, lawmakers should copy California by including both declarations on the value of ADUs and specific stipulations regarding the regulation of ADUs at the local level. Local officials can draft a vision for ADUs that draws from the declarations in the state bill and can create zoning policy and regulatory ordinances based on SB 1069’s provisions and stipulations. Each locality in the United States has its own particular needs and desires in terms of community development. The next section explores how ADUs fit into various zoning models, including by-right, by special exception, form-based, and hybrid (modern) zoning. A key policy goal in supporting the development of ADUs is switching to By-Right zoning. In most localities in the US, in order to create an ADU, a homeowner has to submit his request for special exception approval by a municipal board or committee that has discretionary authority regarding whether or not to grant approval. Even if approval is granted, these committees often wield significant power in determining both the design of the ADU and the timeline for when it gets built. Often development projects are delayed for months or even years as the bureaucratic red tape is cleared. In contrast to this zoning policy, By-Right zoning streamlines the development of ADUs by granting automatic approval to any project that complies with existing zoning standards and regulations, without the homeowner needing to submit the project for additional review. Many communities are hesitant to allow By-Right zoning out of a legitimate concern that it could lead to developmental projects that drastically alter the shape or character of their neighborhood. While these concerns can often be of the Not In My Backyard variety, it would be a mistake to ascribe all opposition to By-Right zoning to this unsavory reason. As Karen Parolek explains in her article on By-Right zoning, community members often “feel they have no other tools to compel developers to be respectful of their cherished places” than the discretionary approval process. One approach to zoning that helps normalize special projects like ADUs while preserving community input and adapting to unique circumstances is with a special exception policy. In this model, if ADUs are listed as a special exception, the homeowner would need to make sure that the proposed ADU project meets the relevant criteria and additionally receive permission from the local zoning board. A benefit to this approach is that it allows nonstandard development to proceed with less red tape without stripping local governments of control of the process. Another way to allow creative development without disrupting local communities is using form-based code. Form-based code is built on the recognition that one size does not fit all when it comes to local zoning. Another zoning framework that allows for optimal customization is hybrid zoning. It is also worth noting that localities can develop zoning policy for ADUs that differentiates between attached ADUs (eg, turning a basement into an ADU) and detached ADUs (a cottage on the property.) Localities can also take into account factors like land density and existing population sizes and designating certain areas as by-right and others as a special exception, etc.. Each locality should determine the zoning framework that works best for their community. At a time when our nation faces severe economic challenges and a dire housing crisis, support for ADU development is blossoming into a bipartisan cause. States like California and cities like Portland and Seattle are already seeing the benefits of removing outdated zoning law and overbearing regulation. Meanwhile, government officials at both the state and local level are beginning to support ADUs as a way of aiding multigenerational families, providing affordable rates to renters, and letting homeowners leverage their biggest asset for revenue. The future of ADUs in America looks promising. By working together on the local and state level, we can build more flexible housing markets, more diverse communities, and a more resilient American economy.